Now you can get all the turbo–class squeegees you’ll ever need, all from one source. Pro Tools Now offers a complete line up of quality turbo squeegees with flex ratings from soft to hard. 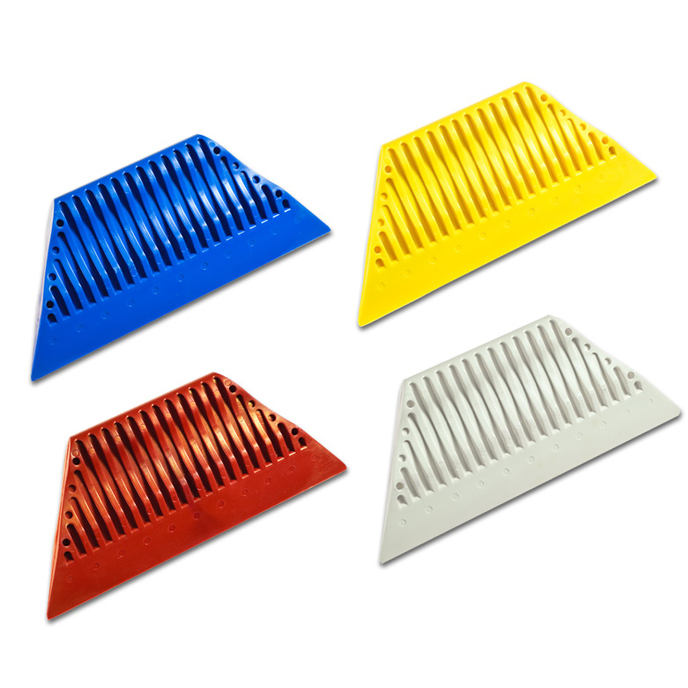 The Power Stroke Squeegee is the original handheld molded squeegee, ergonomically designed to fit comfortably in your hand. It measures 5.7 inches from tip to tip, with a ridged grip area that fits your hand perfectly to reduce fatigue. Choose from a variety of flex rating options, color–coded to make it easy to pick and remember which Power Stroke you need for every application.